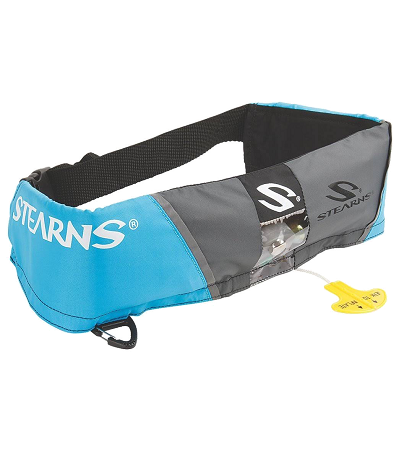 This is the inflatable SUP waist PFD that we use in most flat-water environments and races. At only 16 grams you can barely feel you have it on! It works with a CO2 cartridge and an emergency pull. It’s great for casual paddles but must be worn correctly and you have to be conscious for it to be effective because it requires you to pull the cord to deploy the flotation. If you’re in a situation where you might hit your head or become unconscious, we recommend a different type of vest. Also, if your paddling in swift moving “whitewater” we recommend a Whitewater specific paddling jacket.